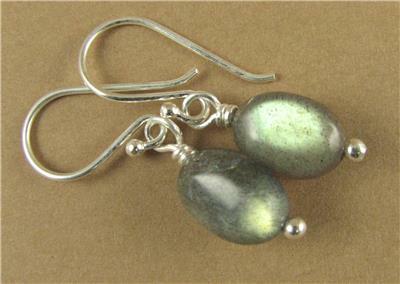 Home › Labradorite and sterling silver earrings. Designer handmade. 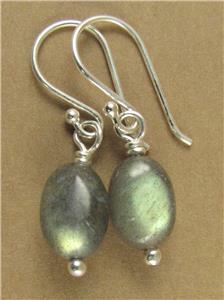 Labradorite and sterling silver earrings. Designer handmade. 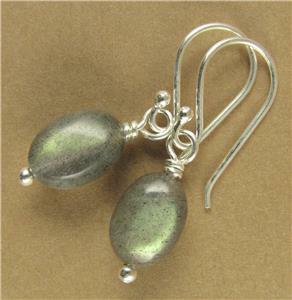 This is a beautiful pair of labradorite earrings with a clear natural 'fire' in the stones. I select all the labradorite stones I use very carefully to ensure they have the maximum fire. 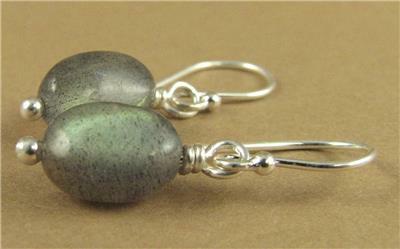 The ear hooks, and the wire inside the stone are all sterling silver. 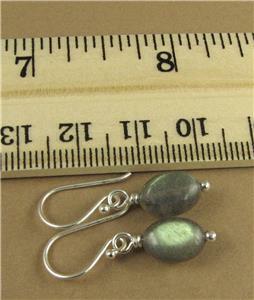 From the top of the hook, the earrings are 2.5cm long.